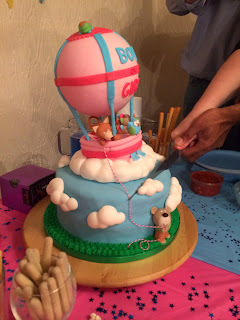 I finally got to do a gender reveal cake! 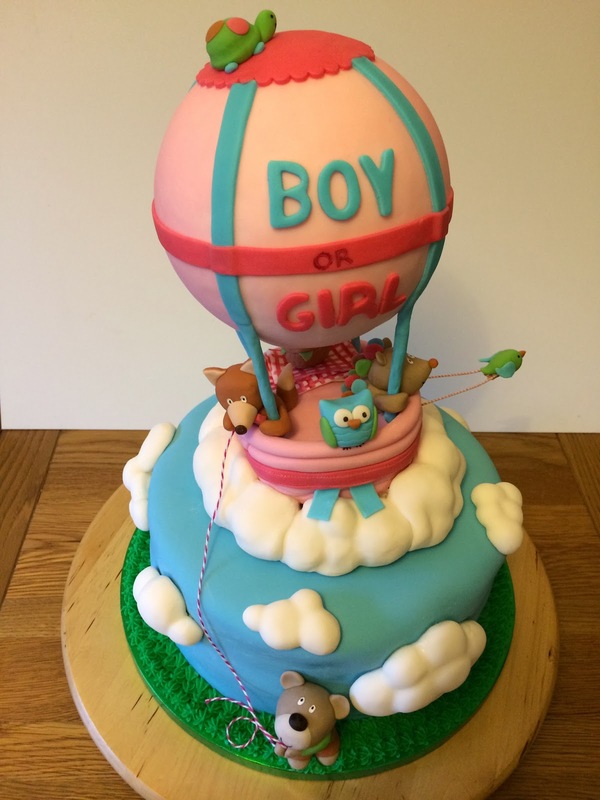 When Mum- and Dad-to-be went for their scan, they requested that the sonographer write the gender of the baby down on a piece of paper and seal it in to an envelope, keeping it a secret, rather than telling them. They then delivered said envelope, unopened, to me. 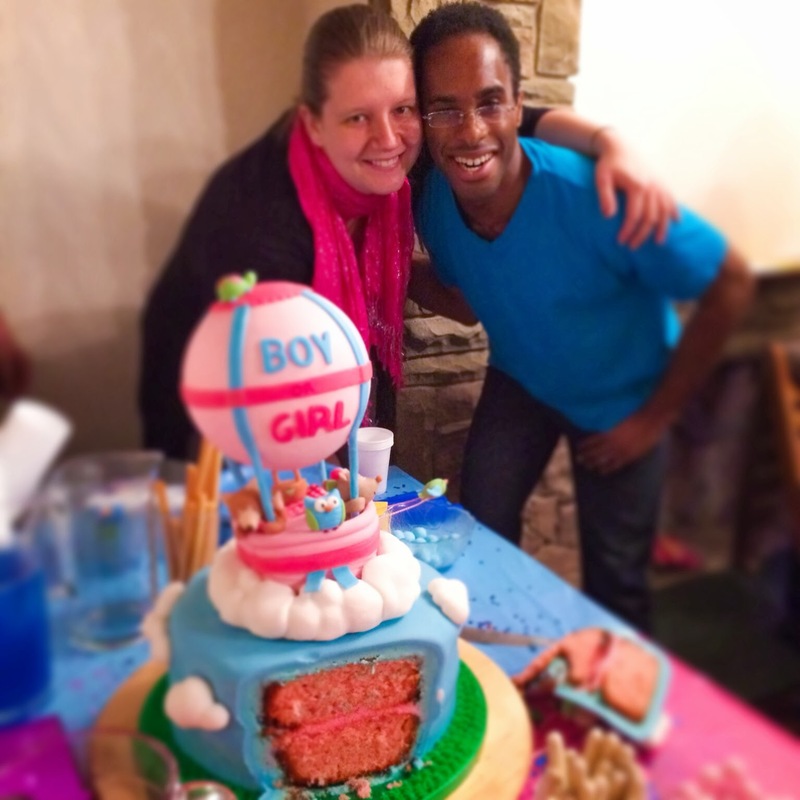 I made the cake with appropriately coloured lemon sponge and lemon buttercream icing and delivered it to the party. Once we had all voted for whether we thought baby would be a girl or boy (we all had to wear something either pink or blue), made plenty of baby name suggestions and played a few party games, it was time to cut the cake. 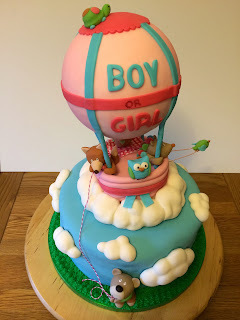 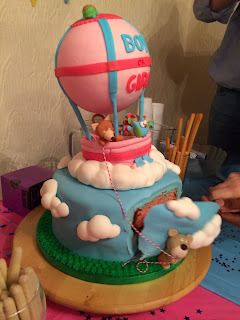 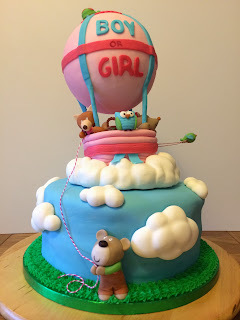 Labels: boy or girl, Gender reveal cake, hot air ballon, It's a girl!